Until last weekend, I hadn’t slept more than 10 feet away from P since she was born nineteen months ago. But after four months of quasi single parenting, I was long overdue for a mini-break. So for the past three months, I eagerly awaited the July 29-31 weekend, when I would be meeting up in L.A. with four of my bestest friends. My friends and I go way back. WAY back. I met L & S when we were in seventh grade, and M & E when we were freshmen in high school. We’re now in our early (OK, mid) thirties, so we’ve known each other most of our lives. We’ve all become happy, healthy, responsible, and interesting adults: L is getting an MBA and works for an NGO, S is a marketing guru who’ll have her second daughter in December, M is in Baltimore doing a post-doc in bio-statistics, and E is headed off on an amazing adventure to teach in Hong Kong for a year. My most vivid memories of growing up back in the day include going to L.A. Kings games with L, the sense of freedom when S became the first to get her driver’s license and car, sleepovers at E’s house, and watching M inhale ice cream sundaes at Denny’s. 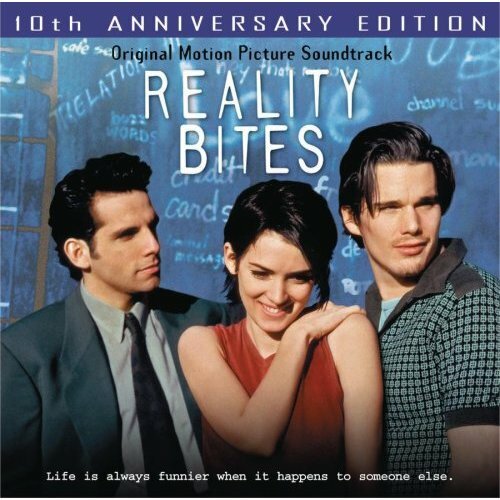 And of course, watching the seminal movie of our high school years (OK, maybe I’m a bit partial here), Reality Bites. The weekend got off to an amazing start with a mini birthday party for E, who ended up making us a delicious dinner of a Barefoot Contessa chicken classic and a wild rice and cherry salad, while S bought amazing pastries at a French bakery in lieu of birthday cake. I had no idea I was so cool. OK, I’m not; S did all the planning. But really, for me the best part of the weekend was the downtime in between all the fab activities, when we looked at People and UsWeekly and commented on the awfulness of Amy Winehouse’s death, and of course, watched Reality Bites. Then we could pretend that we were back in a time when Winona Ryder hadn’t stolen anything, Ethan Hawke was still hot and had yet to break Uma Thurman’s heart, and people knew who Evan Dando was. So consider this my love letter to MELS. I love you guys. I loved this weekend because it was like a time warp. With the big difference being that we’re much more interesting people now. Which makes the time warp that much sweeter, and hanging out so much more satisfying. This entry was posted in friends by thirdcultureblog. Bookmark the permalink.